12 Mile- Bob’s cove track – This is an easy walk or easy to intermediate bike ride from the 12 Mile Delta camping ground to Bob’s Cove and back. The trail is flat for most of the ride although two sections may have beginner riders pushing their bike. They are very short however. The track weaves its way in and out of beautiful native bush following all the way round the shores of Lake Wakatipu. At the Bob’s Cove end of the track you will find some historic lime kilns and hut ruins to explore. In Bob’s Cove there is a small rock hill on the peninsula. 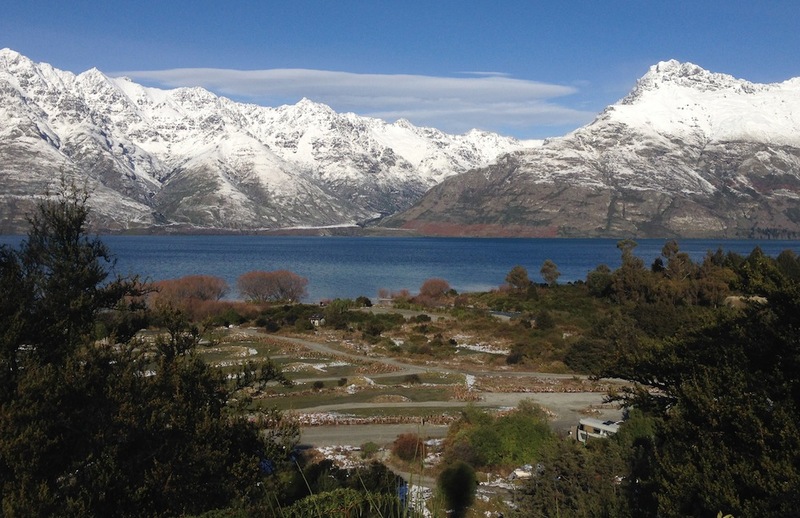 Park your bike and walk up the track to the top of the hill for wonderful views over the lake and back to Queenstown. The Lake Dispute Track – this is just above 12 Mile Delta & climbs steeply through Pittosporum shrubland before reaching this high country lake, home to brown trout. You can link with the Mt Crichton Loop Track from the lake’s southern end. Following along Lake Dispute, the track connects with the Lake Dispute to Moke Lake Track. 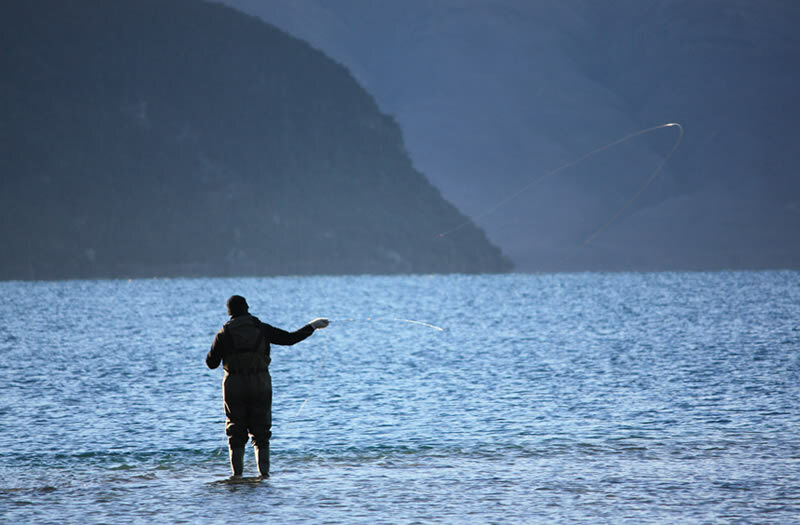 Lake Wakatipu is a well stocked deep glacial lake surrounded by soaring mountains and fed by a number of rivers that are important fisheries in their own right. In this lake you can fish for brown trout, rainbow trout, salmon. 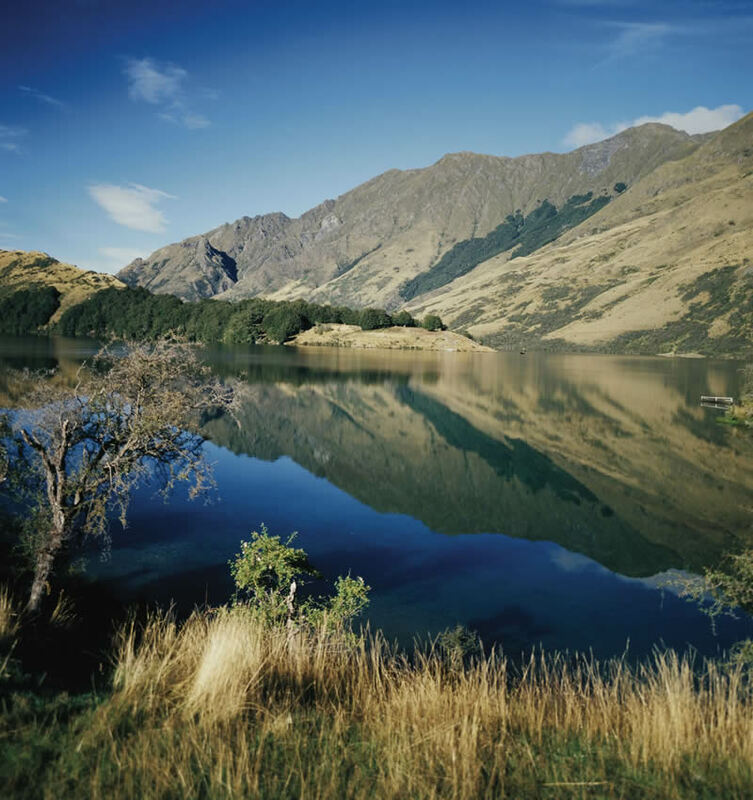 This S-shaped lake, 80km long and up to 300m deep, runs from Glenorchy in the north, past Queenstown and south to Kingston. Being fed by glacial run-off it is very cold with temperatures reaching a maximum of 10 degrees. Brown trout congregate around the lake edges where they feed on insects from nearby vegetation. 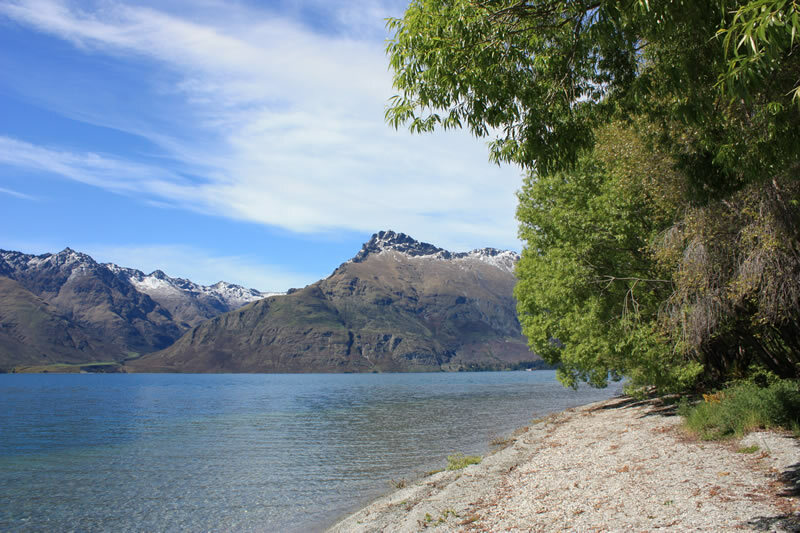 Boating – With a boat ramp at the bottom of the campground, the scene is set for hours of exploring Lake Wakatipu – waterskiing, swimming, fishing, access to remote beaches or just relaxing on the water. Swimming – The crisp waters of Lake Wakatipu are a refreshing break from the long hot summer days. The gently sloping shores and lack of current make the lake perfect for children and adults alike. Kayaking – A great way to explore the lake edge or further afield for the more experienced kayaker. Windsurfing and Kite Surfing – When the nor’ wester blows, there’s no better place to take to the water than beneath a sail.